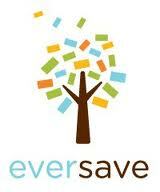 New Eversave shoppers can get a free $5 credit to use on the site for a limited time (must use links in this post to get credit). With it, you can get some great deals! NOTE: Some of these deals are found on the "Shopping" page. Just click on the Shopping tab on the top of the site to find them. Click here to see all the deals and get your credit!